The F VA 250 Rotameter Flow Meter is an all-metal variable area flow meter for liquids and gases up to 300 deg C. With a standard length of 250 mm and a completely metal design the F VA 250 rotameter can be used to measure many different types of liquids and gases passing through closed piping. The VA meter’s robust design means that it can also be used in tough conditions. Different types of flanges, liners and float materials satisfy the requirements of the pharmaceutical and chemical industries. The measured value is displayed directly on the scale, and output via a switch contact or as a current output. 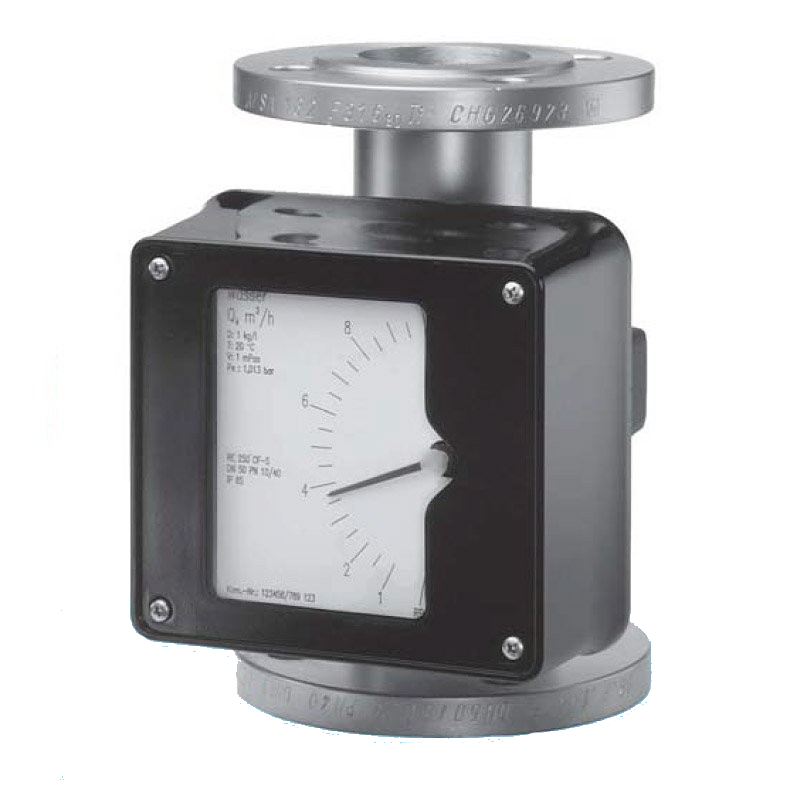 The F VA 250 Rotameter Flow Meter is an all-metal variable area flow meter for liquids and gases up to 300 deg C.